The Egypt Flag features an iconic design which has been copied by other countries looking to demonstrate their independence. It consists of three horizontal bands, all in the same proportion. The top band is red, the center white, and the bottom black. Egypt's official identity is the Arab Republic of Egypt. 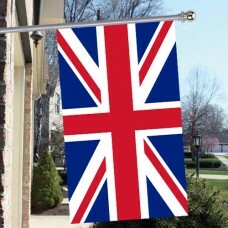 The country was formed in 1952 after a revolutionary war against the British Empire. The red band at the top represents the time before this war. The white middle band says that the war itself was bloodless, unlike Egypt's previous occupations. 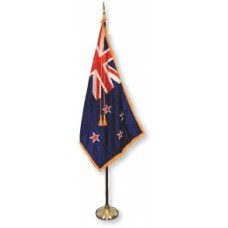 The black bottom symbolizes freedom and the end of oppression at the hands of foreign imperialists. Located on the Nile River, Egypt is one of the world's longest established countries. Although situated in an otherwise dry part of the African continent, the land immediately surrounding the Nile River is suitable for agriculture. Egypt is world-famous as the home of the pyramids, however the country offers much more than just these large physical monuments. The country is also home to ancient writings known as hieroglyphs, which are pictorial symbols which were carved in relief onto stone, temple walls, and monuments. With such a long history, Egypt has been under the rule of many empires. These include the Greeks, Romans, Ottomans, and British. 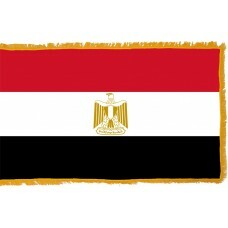 The Egyptian Flag symbolizes the country's independence. Iraq and Syria have national flags based on the same color scheme, however, Egypt was the first country to adopt this red, black, and white color-scheme. Egypt is a large country with a unique geographical position bordering Israel, Sudan, Libya, and Jordan. To the north of the country is the Mediterranean Sea, located near the city of Alexandria. The country also borders the Red Sea and the Gulf of Aqaba. Its most famous waterway is the Suez Canal, through which much of the Western world's oil is transported. Egypt is a land of astonishing beauty, history, and culture. The Nile River and its delta are home to most of its population of about 95 million people. The rest of the country is largely desert, making Egypt a sparsely populated country by area.